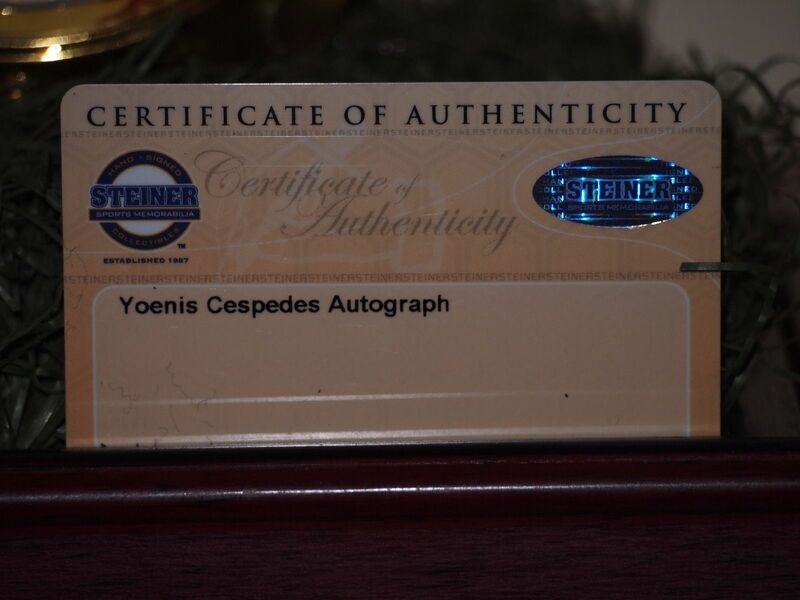 Up for auction is an extremely rare Yoenis Cespedes signed game used home run from the 2013 HR Derby at Citi Field. 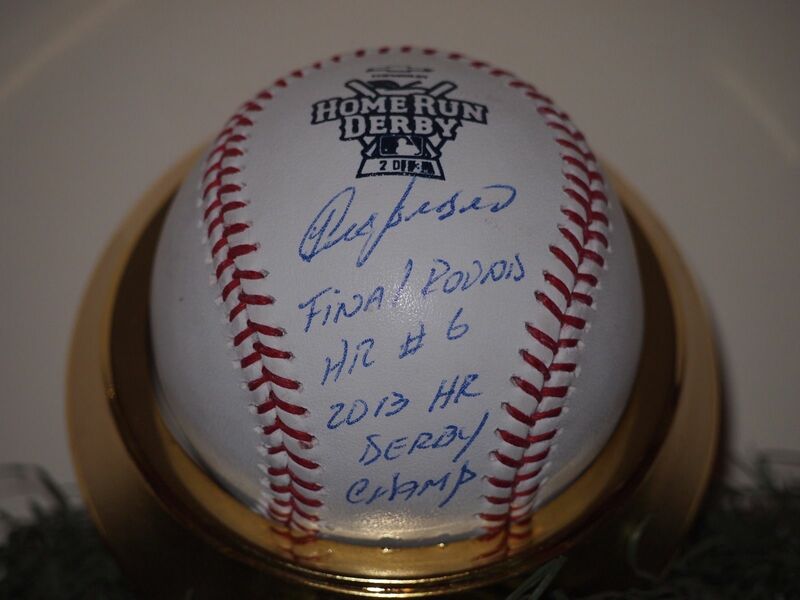 This was his 6th HR of the Championship round to beat out Bryce Harper. 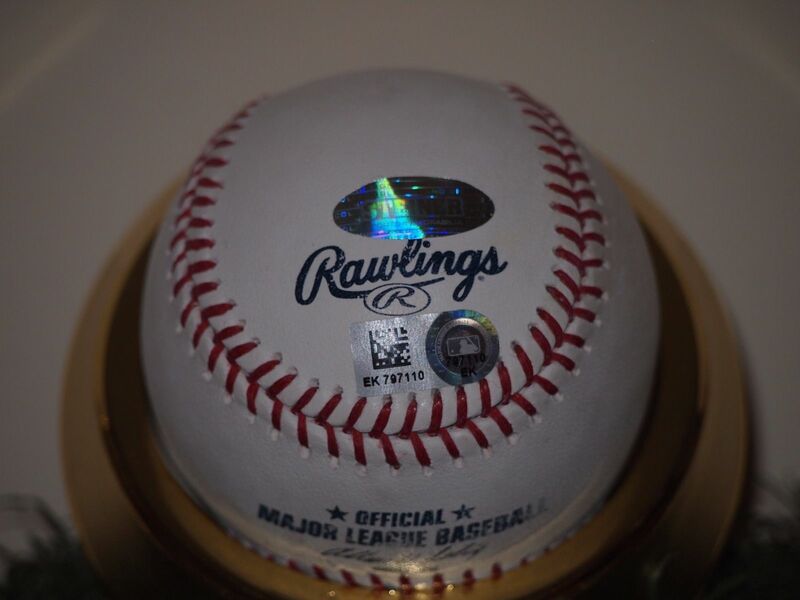 The ball is in the MLB Authentication website with a hologram of EK797110. The ball was signed by Cespedes using his fully spelled out signature that he hasn't used since 2012 (not his latest scrawl) and includes the inscriptions of "Final Round, HR #6" and "2013 HR Derby Champ." 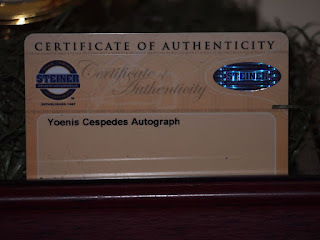 You won't find another one and given his recent run with the Mets, this was a great sign of things to come. Be the one to own this. Hologram number EK797110 was located in the MLB Authentication Database under GAME-USED BASEBALL.